You can book Ferries from Kirkwall to Aberdeen and Lerwick. The Kirkwall Ferries route is operated by Northlink Ferries. You can find all the latest departure points and sailing times below alongside a list of our best prices. 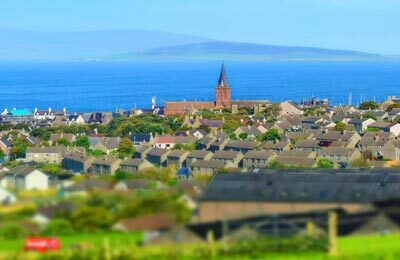 Kirkwall Ferry Port is located is in the Orkney Islands of which the city of Kirkwall is the capital. To learn more about the historical city visit its two museums, the Tankerness House Museum, which contains items of local historical interest, and the Wireless Museum which deals with the history of radio and recorded sound. Another main event held each year at Christmas and New years is the Ba Game an example of traditional football games between the Uppies and the Doonies. Kirkwall Ferry port facilities include payphones, hot and cold drinks vending machines, a lift, disabled access and disabled toilet. 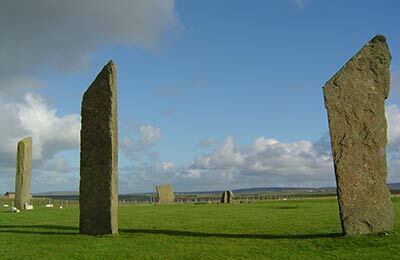 Long term car park facilities are available about 200m away from the Kirkwall Ferry Port Terminal. Kirkwall Ferry Port is located 2-3 miles from the centre of Kirkwall, once in Kirkwall follow signs for the ferry port. Kirkwall Bus Station is located near the centre of Kirkwall. Northlink Ferries then operate a bus service between the bus station and Kirkwall Ferry Port.